I might be getting a little ahead of myself, but I am happy to see that the weather is starting to take a turn for the better, at least here in North Carolina. Even though the winters here aren’t as cold and snowy as what I’m used to as a Midwesterner, I still hate how dreary and gray it can be; it really gets me down. 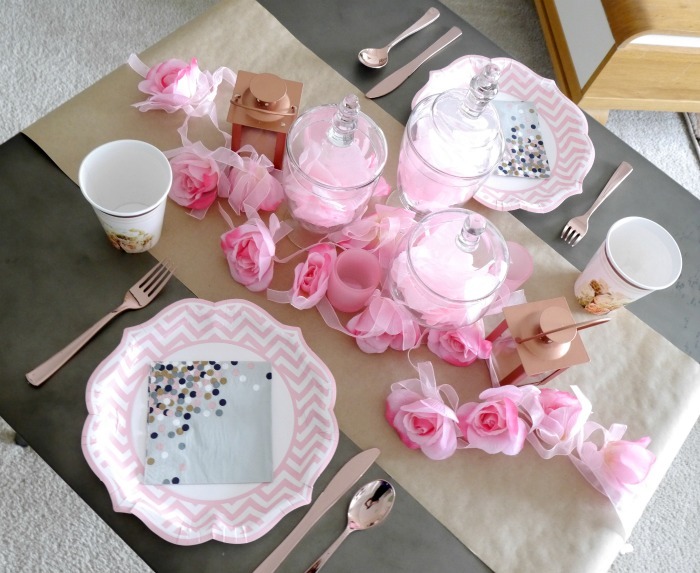 The recent sunshiney days inspired me to create a fun spring tablescape with a combination of pink and rose gold items from Oriental Trading Company (sent to me free in exchange for this post). I am a huge fan of rose gold, but pink? Not usually. I’m not sure what got into me to make me choose pink as my main accent for this project, but I think it turned out great! 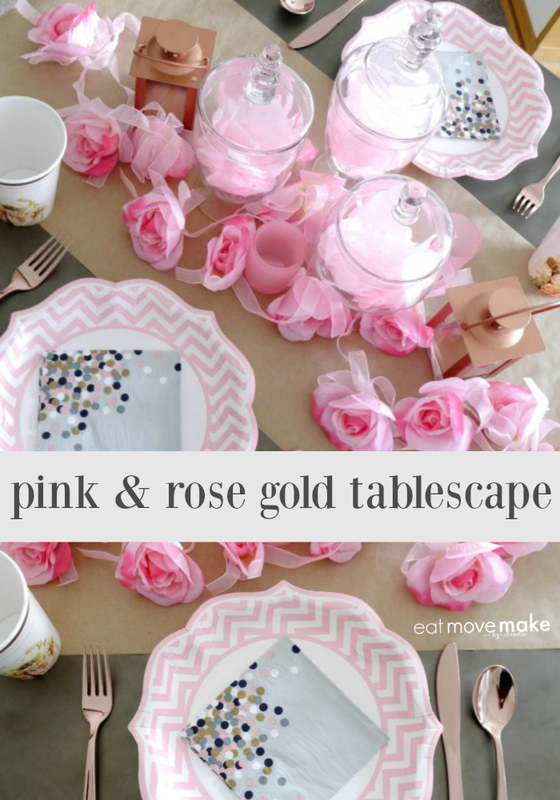 Here’s how to create your own pink & rose gold tablescape for spring! 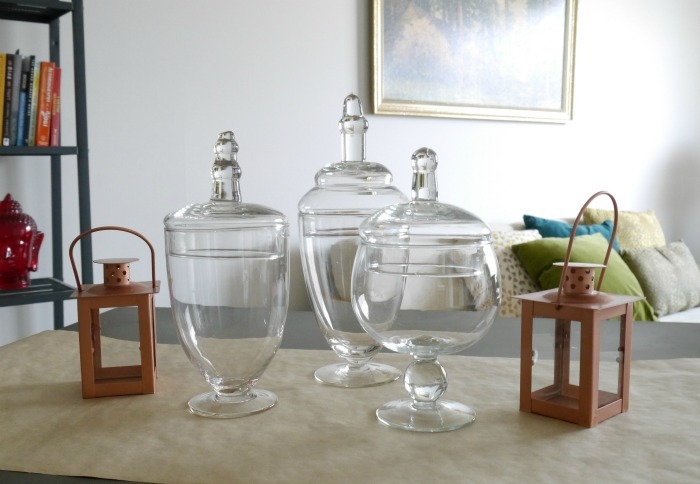 First you’ll lay down a simple runner of kraft paper, then place three glass cloches in the middle. Make sure to stagger them in an aesthetically pleasing way! 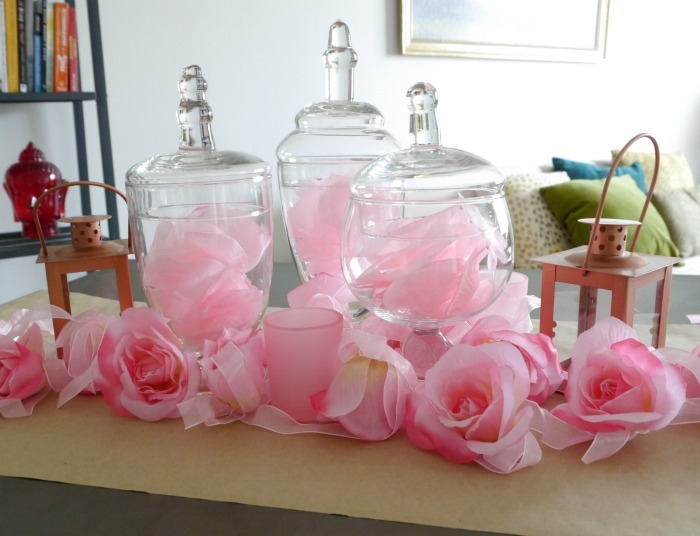 Then two mini rose gold lanterns go on either side of the cloches to kick off the rose gold theme. 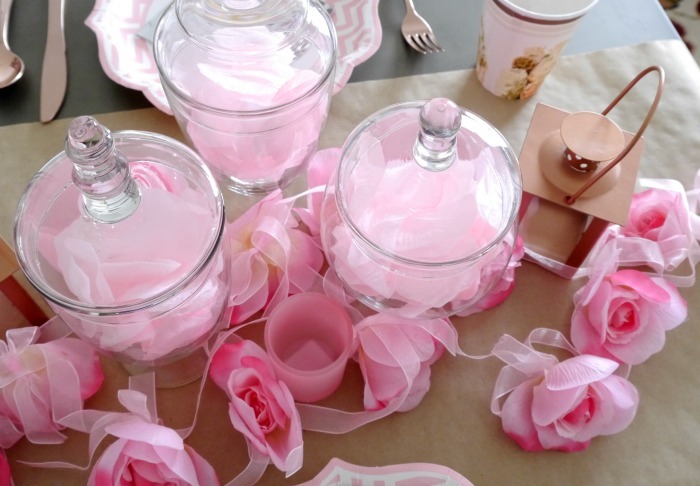 Sprinkle some pink faux rose petals into each of the cloches. And drape rose garlands among the cloches and lanterns. I used two rose garlands for a fuller effect. 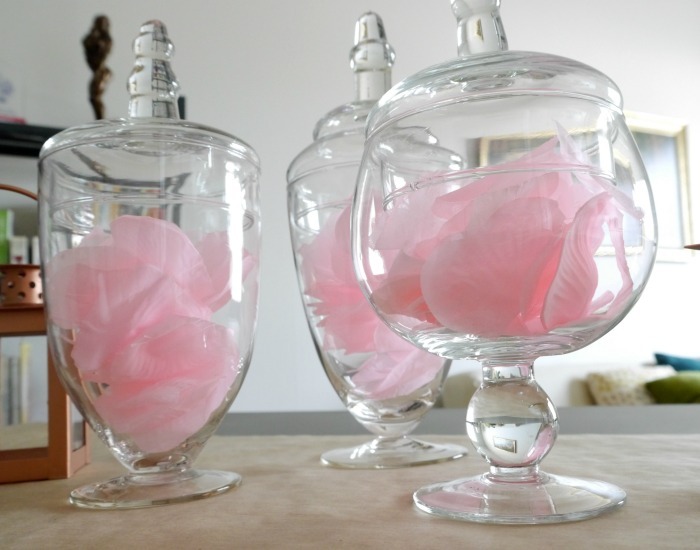 I also included a few pink votive holders to add some subtle depth. With candles inside of the votives and lanterns, I think this look could totally work for an evening wedding reception. Then it’s time for the place settings. 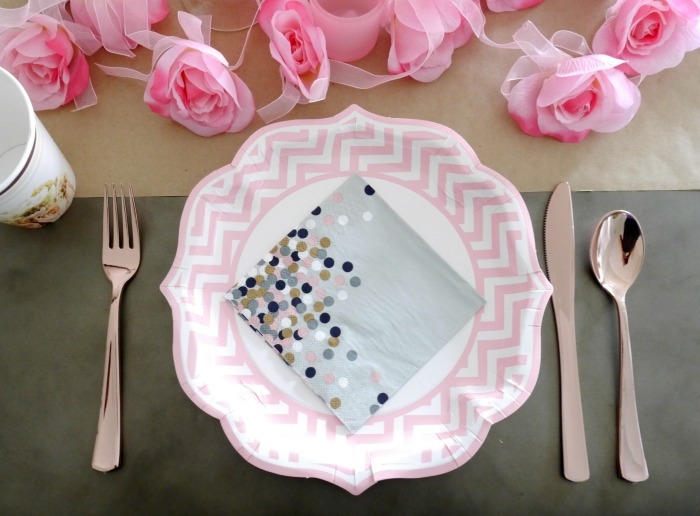 I chose pink and white chevron paper plates, rose gold cutlery, and napkins that had metallics, pink, and neutrals to tie everything together. I love how it all looks! Here’s an overhead shot of the completed look! I’m really happy with this and think the pink and rose gold tablescape theme could work for a wedding, bridal shower, baby shower, or just for spring like I originally intended. Even if you’re not a girly-girl, I think this pretty color combo will still make you smile. I hope you have fun creating this fun and girly spring look! This is so beautiful. I am thinking of trying this for my parent’s 60th wedding anniversary. I know my mom would absolutely love it. It is so pretty and she loves pink! Two of my favorite colors! What a pretty tablescape! Will have to try and recreate this for Easter! I need more pink in my life for spring. So many boys that I live with. I’m out numbered. It’s a good thing Isaak likes pink and sparkly glittery shiny gold. This tablescape is gorgeous. I love the color pink and I really like how elegant this setting looks. How pretty! This would be lovely for even an Easter table. Simple and elegant! This is such a great way to brighten up the table without going overboard! I am throwing my friend a baby shower and i think this idea would work perfect for the occassion! This is so cute! I love this setup! Perfect for a little princess birthday party! I love this color combination, it’s perfect for the season. It sure would be nice to have this motif when you’re hosting a party! I also like the little details. Love this pretty set up and seems so easy and inexpensive too! I love keeping it simple and this is just perfect! My little girls and I are days away from spring break. 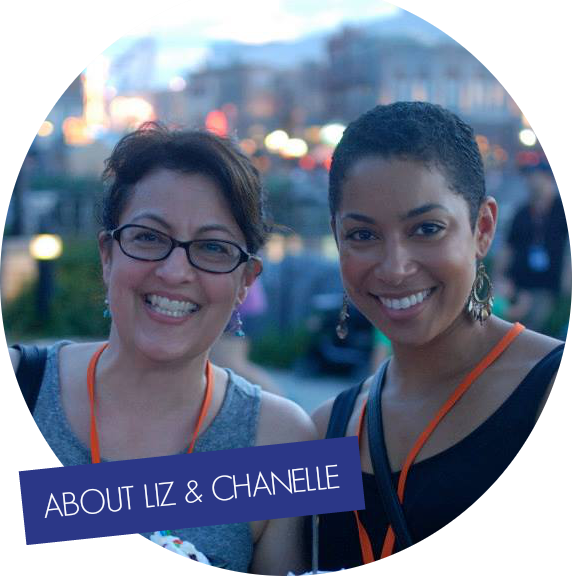 We are planning out everything we want to do, and having a tea party is definitely on the list. The pink and gold touches will make for a lovely tablescape. Certain pinks are some of my favorite colors. The pink and gold really go well together, the pink reflects nicely off of the gold. This is a gorgeous tablescape! I am loving all of the pink, it feels perfectly spring to me! This is beautiful and a great idea! The colors are perfect for spring and go together perfectly. That setting is oh so divine and so spring! I am ready for spring and a dainty table setting like this after getting 30 inches of now melted snow about 3 weeks ago. Pink is beautiful! What a beautiful table set up. I love the use of jars to add depth. I love the color and pattern mixtures. SO pretty for spring. I just did something similar on our mantle. Wow, that is a beautiful color combination. So pretty and sophisticated! I love Oriental Trading Company. They have everything! This is a really cute tablescape. I have never thought of pairing pink and rose gold but it really works! I am sorry that tablescape is too nice for just home entertaining. I would love that as the centerpiece for a shower or for a wedding. I want to see more from Oriental Trading Company. This is so pretty and it is perfect for spring. This would make a great theme for my next girls day. I really need to invest in some of those glass jars. They can be used in so many ways. I love it! I’m so into blush pink and gold this season. Those napkins are darling! So pretty! This will surely put is in a springtime mood. And we need all the help we can get…it’s still pretty chilly out here. That’s so pretty! I have always put silver with pink – but I like the gold. My whole kitchen and attached dining room has copper accents. The copper is pretty close to gold, so I am feeling inspired now! Beautiful! Pink is one of my favorite colors. So pretty and perfect for spring and summer! I LOVE the rose gold! My daughter’s birthday is coming up, and I need to check out Oriental Trading for supplies. They have great items for such great prices! This spring tablescape looks fancy and relaxed at the same time. It would be great for a dinner you are hosting, or just for an everyday set up. I love the color combination you used too! Such a good eye for pretty! That shade of pink in the glass really does lift my spirits. I’d love to have that on my table! I love the colors and absolutely love the napkins that you use. This is great for spring. Pink is my favorite color so this is perfect for me. I have vases that would make great homes for fake petals. This is the PERFECT tablescape for Easter! These colors are classic Easter and spring. I absolutely love it. Well, if I wasn’t excited for spring before, I am now. I love those dishes. The look is so fun and classic at the same time. Oriental Trading Company is one of the best places to shop, IMO. They ALWAYS have pretty things. This makes me feel super excited for spring! I love Oriental Trading Company. I’ve only ever used them when buying prizes for my classroom in bulk. Never thought to do my own shopping on there! So pretty! This is the perfect setting for my niece’s upcoming 19th birthday this May. She’s only planning to invite a few close friends for dinner at their house. I’m sending your link over to my sister. She’ll love this! That is just beautiful! This is the perfect spread to welcome spring back. I love it! That is really pretty! Those colors would go perfectly in my dining room, too!